raised noise levels in the home can be hazardous to both physical and mental health. the acoustic consultants, under the guidance of BS 8233 and WHO guidelines. be of steel construction lined with acoustic class '0' foam with the MVHR spigots linked to the Top Box via 4 separate attenuated ducts. 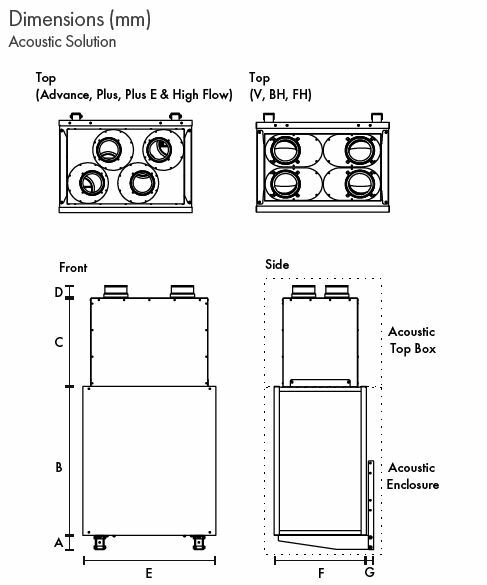 The acoustic enclosure and top box shall each be independently tested for noise to BS EN 13141-7. The Acoustic Enclosure reduces breakout noise from the MVHR unit, ensuring occupants are not disturbed by system noise throughout the dwelling. It features internal anti-vibration mounts which prevent vibration passing from the unit through the fabric of the building. The Acoustic Top Box reduces in-duct noise in living areas, bedrooms and wet rooms. It also provides a neat enclosure for ductwork at the point of installation. 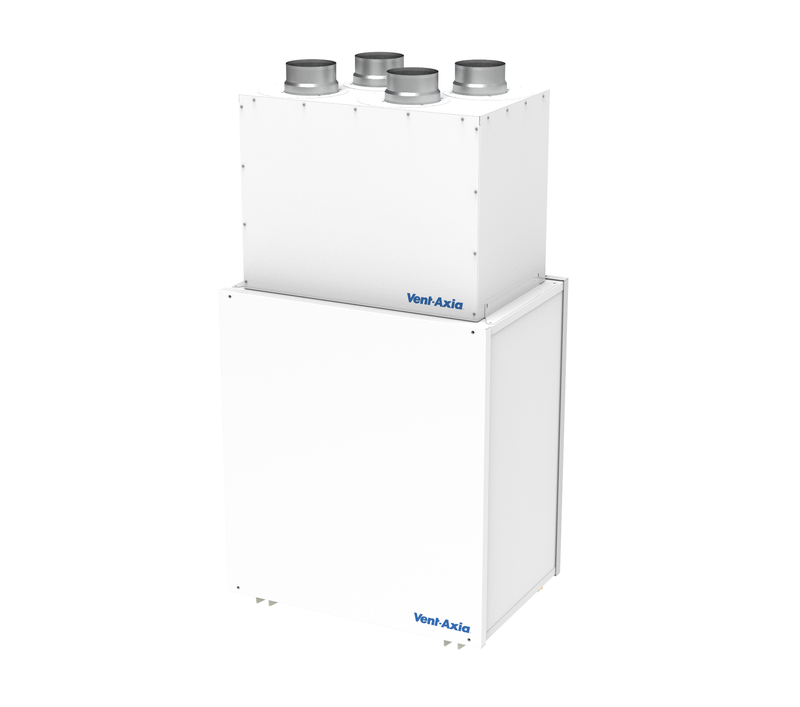 The Acoustic Enclosure reduces breakout noise from the MVHR unit, ensuring occupants are not disturbed by system noise throughout the dwelling. It features internal anti-vibration mounts which prevent vibration passing from the unit through the fabric of the building. The Acoustic Top Box reduces in-duct noise in living areas, bedrooms and wet rooms. It also provides a neat enclosure for ductwork at the point of installation.